All are welcome for a blended hour of prayer, praise, traditional hymns, and message by Rev. Elise Low Edwardson. Broadcast over WDBC 680 radio. Nursery Care is available for children age 4 and under during Sunday School and Worship. 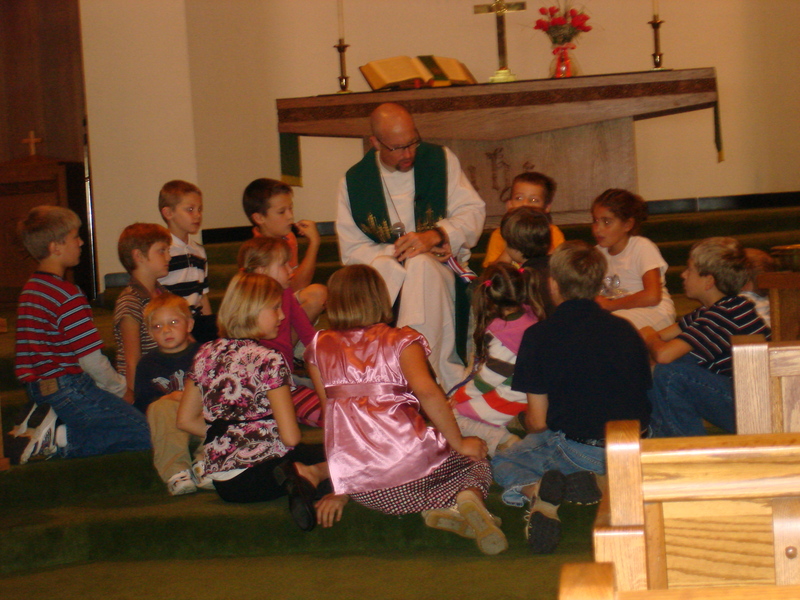 A Children's Worship for children from preschool through 2nd grade is provided after the Children's Message. Say hello while enjoying refreshments before worship. Classes and studies for all age groups from kindergarten to adult. See below for details. Many of us yearn for balance in our lives. That precise alignment which will leave all our daily responsibilities in perfect harmony. As Christians we aren't just balancing our household schedules with work, diet, rest and exercise, we must also consider the spiritual balance of our lives. How are we handling the balance between faith and sight, between love and obedience, between longing and contentment? Only God can guide us toward that balance we desire, and it starts with our hearts. Join Janet Snowden in Room 9 at 9:15. Wendy DeRouin will guide these kids though their transition from child to teen with games, discussions and mission projects. Meet in Room 8 at 9:15. During the Wednesdays of Lent, we gather for a supper of soup and bread at 6:00 followed by a vesper service at 6:30. These suppers are a family gathering for both adults and children.